The mergers of two large Huddersfield based law firms, Eaton Smith & Downey and Marshall Mills & Sykes, in 1997, created a strong, modern, forward thinking Yorkshire law firm that has continued to grow and develop and whose large teams of solicitors and other legal advisors have been using their extensive experience to get results for both individuals and businesses for many years, throughout the region, across the UK and internationally. Each year we help over 6,000 individuals and businesses who value our practical, sympathetic but strong support and advice. Based in Huddersfield town centre with its own car parking, and easy access from the M62 and M1 motorway network, Eaton Smith is large enough to enable clients to obtain specialised and effective legal help and support when required, yet small enough to retain the personal touch at a realistic and competitive cost. 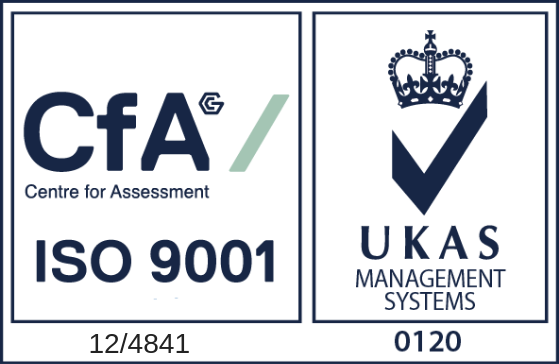 Following a successful application and audit process against the requirements of the Specialist Quality Mark (SQM) Standard, Recognising Excellence have awarded us accreditation against the SQM for a period of three years until 6 June 2021 as a Specialist Quality Mark Holder Contracted with the Legal Aid Agency. We’re proud supporters of Yorkshire County Cricket Club and 2018 will be the fifth season of our sponsoring Jonny Bairstow and being an official Club Partner. We’ve been running the Business of the Month and Business of the Year Awards since 1995. The award has been won by a diverse range of businesses over that time and through these awards we aim to showcase the best businesses in our region. Companies that win a Business of the Month Award have the opportunity to highlight and celebrate their hard work, brilliance and innovation as well as have the opportunity to win our annual Business of the Year award. You can find out more about the awards here. Firms with the LawNet Mark of Excellence are committed to providing their clients with the highest standards of care and advice. We are committed to listening, understanding and helping you achieve your goals. We will ask you to complete a client satisfaction survey. We will avoid jargon and use Plain English explaining any necessary legal terms. We will tell you how long we expect things to take and update you regularly on progress. If you contact us, you can expect a response or acknowledgement to inform you of the timeframe for a full response within one working day. If the issue is more time sensitive or you tell us you need a response in a particular time frame we will endeavour to meet your requirements. All our clients are valued and important. We will let you know who will be working with you and give you their contact details. We will let you know what to do if you need to contact us out of office hours. We are committed to providing service that takes in to account all your needs- not just the matter in hand. We will be open and transparent about our fees at all times, providing fixed fees where possible. Where not possible, we will give you the best information that we can on the likely total cost of your case at the outset. Should anything alter we will contact you before we incur any additional costs. Any bill we send to you will be clear and itemised, showing the work done and amount charged. Our firm is committed to ensuring that our clients are central to everything we do. We will ensure our people are properly resourced and have the appropriate training. When assigning the right person to your case we will take into account your needs, expectations and budget. We are committed to looking after our people because happy people do better work. Our firm is regularly audited to ensure we maintain the high standards required to maintain the quality marks we hold. Tell us what your objectives are and be clear about your expectations. Work cooperatively with us to set and achieve realistic timescales. Appreciate that we have to follow a strict professional code of conduct. If things go wrong or you are less than happy with our service please tell us immediately- we welcome your feedback as it helps us provide a better service. Eaton Smith Solicitors is a trading name of Eaton Smith LLP a limited liability partnership registered in England & Wales (registered Number OC326172) which is authorised and regulated by the Solicitors Regulation Authority (no. 00462196). Our registered office is at 14 High Street, Huddersfield, HD1 2HA, a full list of members is open to inspection at this office. Eaton Smith LLP is a law firm. Address: 14 High Street, Huddersfield, HD1 2HA. Tel: 01484 821300. Eaton Smith LLP VAT Reg. No. 183 5326 57. “Eaton Smith” is a UK registered trade mark of Eaton Smith LLP.